The chain's biggest drawing card remains its legendary Tim Hortons coffee. The special blend is also available in cans, as are Tim Hortons hot chocolate and English Toffee and French Vanilla cappuccinos, so guests can also enjoy these great tasting products at home. 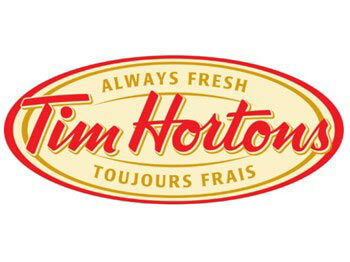 There are two Tim Hortons Locations. One is located on the North Side of Brooks by the Wendys, and the other is located closer to Cassils by the Canadian Tire. Stop in for a great drink and snack!